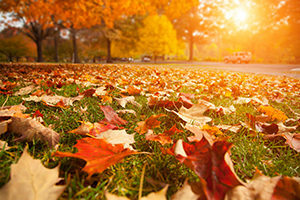 What Does Autumn Teach Us? Summer season is drawing to a close, as fall is just around the corner to greet us on September 22nd. I have fond memories of autumn living on the east coast when I was a child. With the season approaching, you can count on deciduous trees coming aflame bursting with orange, red and bright yellow. Autumn has always been a season for me to reflect on life’s rhythm of when it’s time to flourish and when it’s time to shed our old behaviors and embrace what is next. If you are familiar with Lao Tzu, he teaches how resisting change creates sorrow and let reality be reality. It’s about letting go and allowing things to flow naturally forward in whatever way they like. I believe what he is saying is that we suffer when we make judgements about the quality of our life and what we obtain from growing. In other words, don’t mistake quantity over quality. As I turn my thoughts to what this season has to offer in the terms of letting go, I consider some mindful practices to help me along in the process. Give yourself some quality time outdoors in nature doing what you love. If walking is your preference, notice how the leaves of the deciduous trees don’t fight to hold onto the branches. When it’s time, they just release and fall to the ground completing their cycle of growth, getting ready for the next seasons cycle of development. Pause and feel the presence of grace and simplicity of the fallen leaf and invite that energy to move through you. Realize that every person you have ever had in your life as well as yourself, proceeds to the same movement. Feel the flow of your existence and let it have its process and notice the result of doing so is an awareness of calm that moves all understanding. In learning from the evolution of a leaf during the autumn season, we can let go and trust the process that our next growth will come in due time.